I have had a few questions about what constitutes a hap – what is “traditional” and why are there garments called haps, which don’t have traditional construction? – and I think the confusion could be down to semantics, as well as construction. 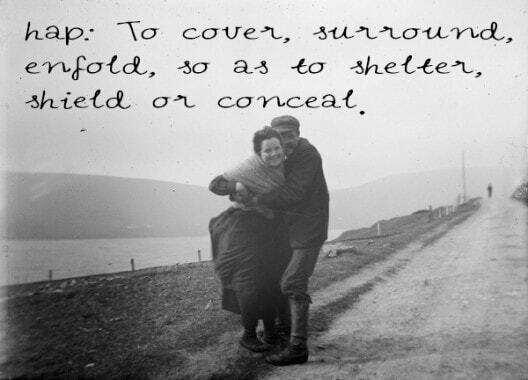 I have posted a little on hap history before and that from reading Miller I learned how hap was the word used for the practical, everyday shawls of Shetland women, which were constructed in the rougher wool and had an old shale border. 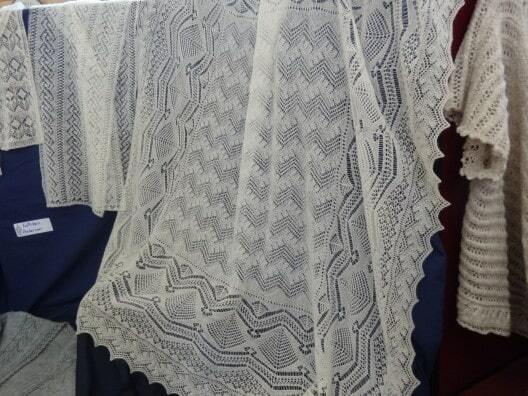 Fine lace Shetland shawls, perhaps also called crepe shawls, or wedding ring shawls, were also knit in a similar fashion, but were much different; these were made to be sold and knit in much more intricate lace and finer wool. They came to also be referred to as haps, but at one point there was a clear distinction. I decided that this KAL should have the two eligibility rules on type of pattern – either using the name hap, or using a method called “traditional Shetland construction” – as these cover the bulk of the patterns on Ravelry and also cover a wide range of modern and trad styles, but that traditional Shetland construction proves a bit…tricksy! 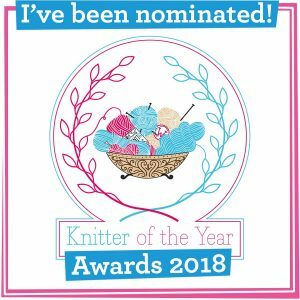 The patterns on ravelry that refer to this construction call for you to knit the centre of the shawl first then pick up the edge YOs to knit a border, but it’s the word ‘traditional’ that causes a bit of confusion, as Hazel Tindall explained in post comment. I always thought traditional construction of a hap is to start with lace edge, then knit ‘da board’ often in 2 halves and mitring the corners. The centre is knitted from one quarter of “da board”, joining 2 sides as you knit then grafting the 4th side. 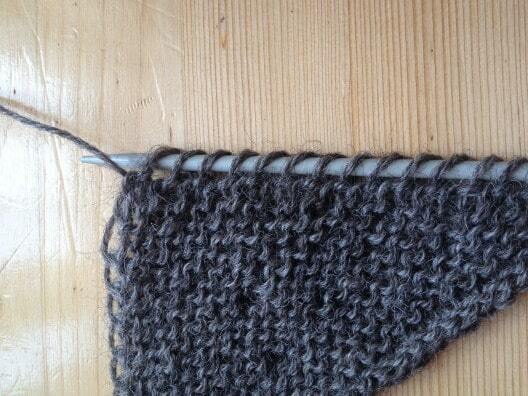 That left the mitred edges to be joined – skill needed to make the sewn corners match the knitted corners. There is indeed, more than one way to knit a hap. The method that Hazel is talking about is what Sharon Miller, Shetland Hap Shawl Then and Now, calls the “Border Inward” method. This – Miller notes – was the style of shawl knit from the 19th century. You can knit a border inward shawl in different ways too, whether knitting 4 lace edges, 4 shale borders and the centre, or in 3 pieces, with two mitred corners and the centre. These would be grafted together to complete the shawl and many shawls are still knitted this way in Shetland, like some I saw on display at Shetland Wool Week. Shetland designer Donna Smith is going to be knitting her hap in this method and is learning the construction from her aunt. Please do read her blog on the subject. 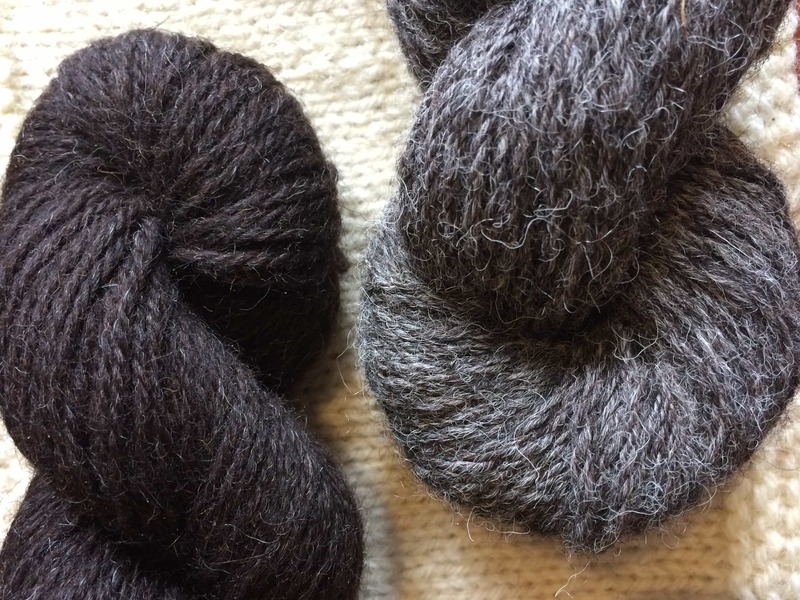 So whether you want to knit it in pieces or go for the now highly convoluted traditional Shetland-slash-modern method- slash-borders outwards-slash-Victorian Shetland …those are the main differences in construction. I am sure there are no hap purists who need to know this and – like Miller – I am no expert on the history of the garment, but it is interesting to understand a little of the evolution of the hap and its construction. I’ve collected all the Jamieson and Smith yarns I plan to use, have The Shetland Trader Pattern, needles at the ready and am just waiting for the starting bell!! 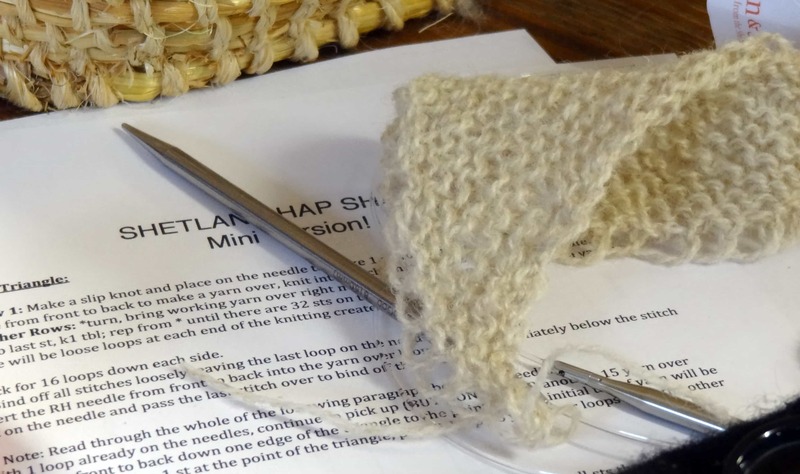 Thank you for an excellent run through of the many faces of the Shetland hap …. I am looking forward to starting mine – in fact I am surprisingly well organised and ready to cast on! I think the notion of “being a purist”, especially as regards traditions is interesting. We tend to look at the past in an idealistic way, as if it were a static museum. When, in fact, people were always innovating and improving processes. In the round sounds like a cool solution to the problem. Though I imagine that is going to be quite a heavy project to manoeuvre around! Thanks for some of the history! Now I can understand why Kate Davies’s Hap is a HAP! oh, yes! I agree with you and actually, if craft isn’t always moving and improving it will stagnate. Thing is…there are purists, though. I haven’t met hap purists, but boy have I met knitting purists and it can be damaging to the very thing that they are trying to preserve or claim ownership of. I am glad that, for the most part, the knitting community continues to innovate and keep the “traditions” moving. I am a big fan of Hamish Henderson’s analogy of tradition which talks about a flowing stream of tradition…it speeds up in some places, it gathers new interest and new innovations…sometimes it breaks off and forms more branches, in other places it slows, or dams completely, but for the most part it is a moving and an alive thing! I do like Hamish Henderson’s analogy. Thanks for that whole post as well. The discussion on construction is an interesting one, I haven’t come across anybody here that works the borders outwards method, but as Hazel says it is possible it is done in different parts of Shetland. 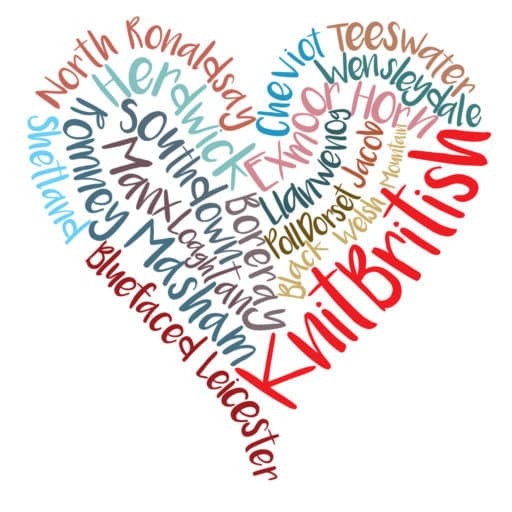 My Great Aunt speaks about how one of the first things she made, probably about age 5, was the centre of a hap (in plain garter stitch or “riggies”). There are samples in the museum that are thought to have centres knitted by bairns, meaning the adult would have more time to get on with more intricate work. There are also just borders in the museum, it is thought that at one time you could buy borders which you could assemble and knit the centre to finish it. When I asked aunt Emma if she knew about the borders out wards method she said “Na Na dats da new wy!” Which ever method folk use I think is fantastic to see haps being made and I am really looking forward to seeing what folk do for the hap-along! 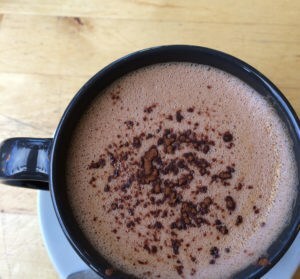 Previous PostFocus on Haps: too much inspiration!